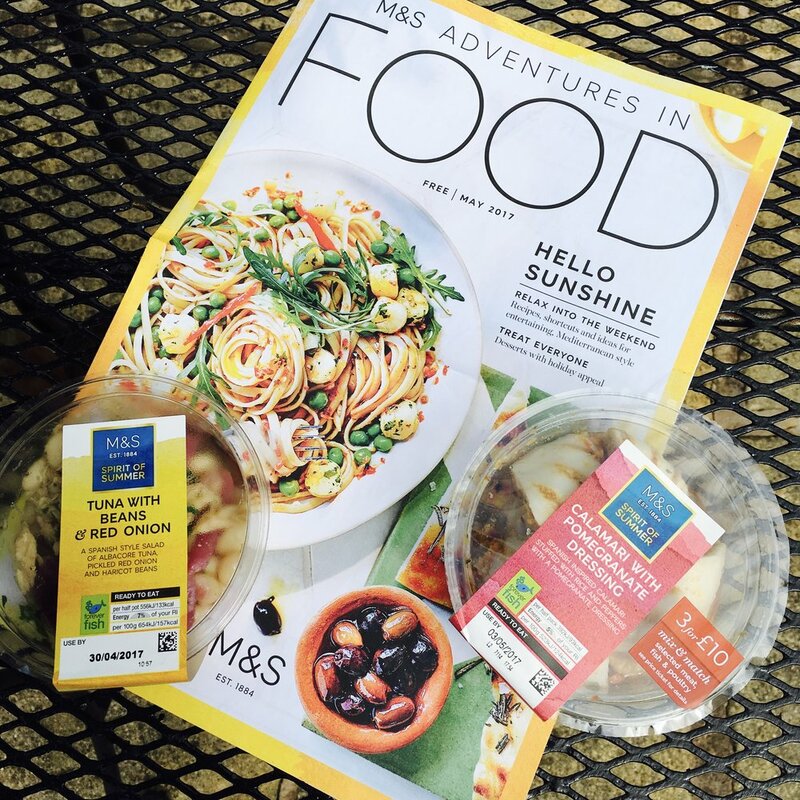 Spirit of Summer has arrived in store at Marks & Spencer and there are a selection of offers to take advantage of to try the new dishes and meals. The first is the £7 Summer Meal for Two. It's a main, a side and a salad, for two to share. There are chicken, fish and meat options, but I really found myself fancying the vegetarian offers. I chose the tomato & mozzarella stuffed peppers, above, but there were also very tasty looking stuffed aubergines. It was tricky to choose, which became the theme or selecting items for this blog post. 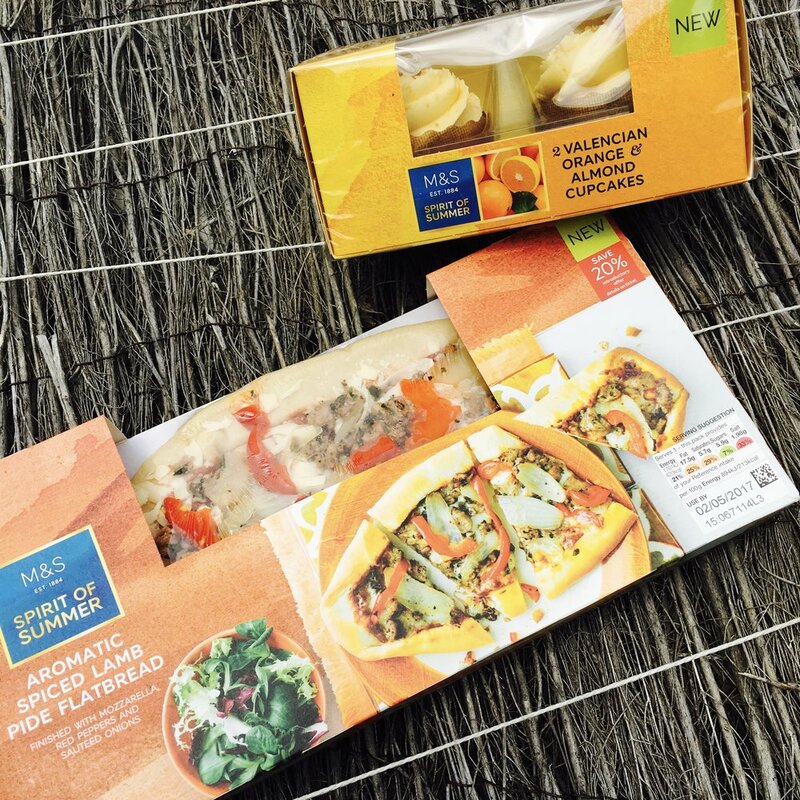 There is a lot of fab new products on the shelves in the Spirit of Summer 2017 range, dishes and ingredients I haven't seen in supermarkets before even, so choosing is tricky, due to wanting to try everything at once! After oven cooking and trying the mozzarella stuffed peppers, I HIGHLY recommend them. The pesto drizzle was heavenly. I'll be buying them again. 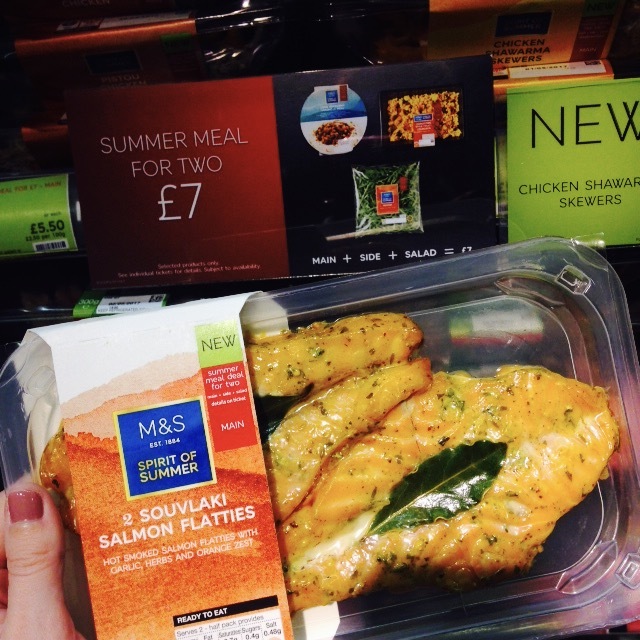 So it's handy to be able to choose from the deli 3 for £7 deal, and the new Spirit of Summer deli dishes are included. There are also summer meat selections in the 3 for £10 offer and I had to try the new calamari with pomegranate dressing. 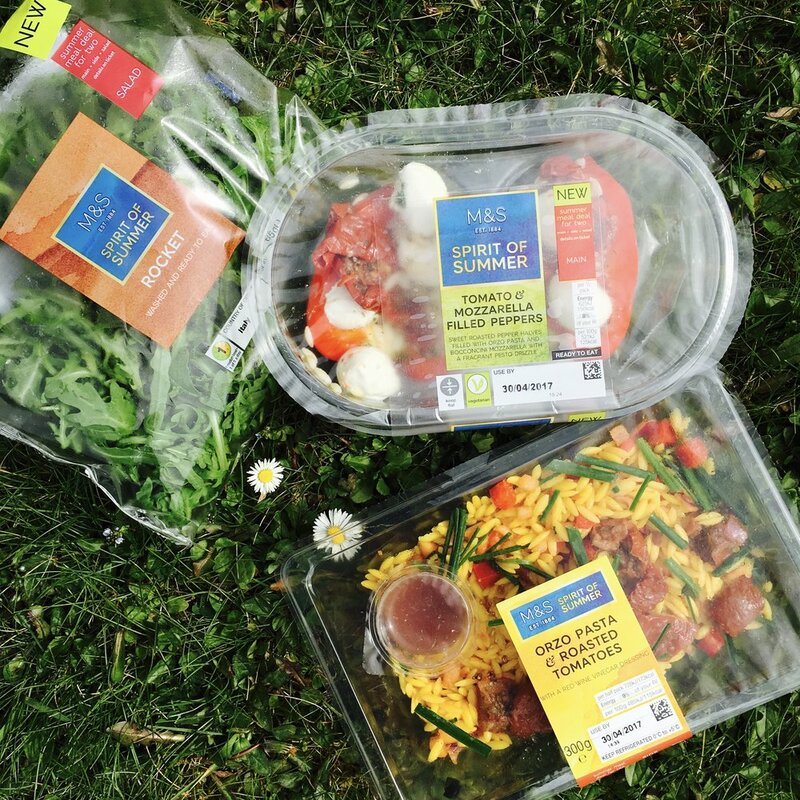 The new summer deli items are from all over the world so there are a lot of exotic tastes to try. Last summer season the ranges seemed fixed in the Americas for flavours, but Spirit of Summer 2017 is all new, and already I'm loving the variety this year a lot more. Another deal you can take advantage of right now is 20% off a wide range of the summer meals and desserts. This includes much of the range that doesn't fall under the deli or meat deals. For example the lamb flatbread was only £2.40 with the offer, which is a bargain for a fancy pizza for one. The new desserts I haven't investigated too much yet, but there are cakes, cupcakes and fridge desserts in the 20% off deal. The Valencian Orange & Almond cupcakes are a delight. I'm fond of anything with almond, and the flavours balance each other nicely. Perfect for afternoon tea. 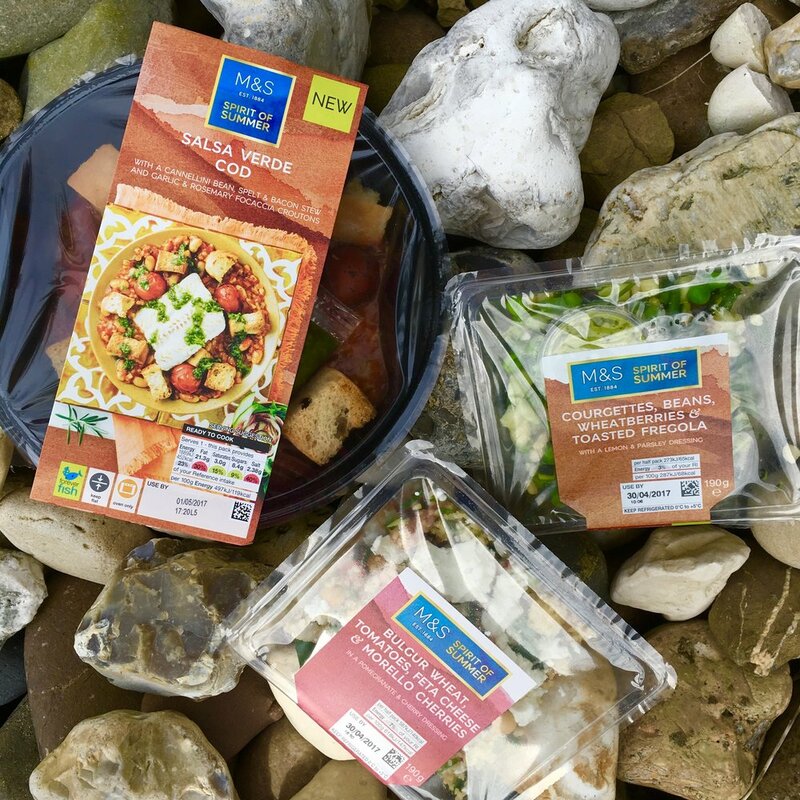 Finally, the small square salads are 2 for £4 and there are a good half dozen new dishes to choose from. The feta, tomato and morello cherry salad was a must try for me. The green courgette salad was fresh and light and would make a great side for an early BBQ. Let me know what Spirit of Summer treats you've tried this week, @rudedoodle on Twitter.